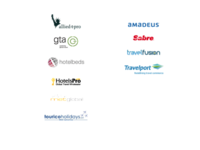 Tour Operators offering tailor-made tours for individuals travellers, who have agreements with wholesalers, DMCs, GDSs, etc, providing XML flows. TailorMadeTour is an innovative all-in-one, powerful and time-saving tech tool. It allows Tour Operators to create complex FIT tailor-made tours in few clicks and get real time quotations for multiple services with one single click. Book all the services with one single click, through one single tool. Send automatically generated, personalized documents to your customers. Connect with your suppliers via XML in real time. Platform integrated with +60 suppliers. Pros: After a long search in the market and some tests with several other softwares, we finally have found a customizable tool that can satisfy our needs: Tailor Made Tour. The tool had to answer to the needs of 3 different markets : ITALY / FRANCE / USA. The flexibility of the solution combined with a very reactive staff help us in our daily work. We have worked to offer a powerfull B2B to our customers and have added some specifics matters. Regarding the "A la carte" point of View, for me, this software is the best system to handle numerous quotations. Cons: We, in JETSET, have a global digital approach and we need that the tools that we are using, follow our needs that evolve daily with th market.At this level regarding the quotation no doubt that Eminds and Tailormade Tour is the best solution to propose. But regarding the confirmation process they are still some difficulties to climb to reach the target. We appreciate your opinion and your words: our partnership becomes everyday stronger and we are glad to stay close to you everyday, satisfying your needs. As you said, flexibility, an agile approach and an easy-to use tool are our key concepts, in order to give you an even more powerful platform. We appreciate your suggestions: as you know, our attention is always focused on how we can improve our tool and our meetings, our daily experience with Jetset, is precious to let TailorMadeTour always be the best solution for your daily work. Thank you so much, Arnaud! Pros: it helps us to save time in our daily work. The itinerary looks nice and the travel agencies appreciate it. It helps us to do more quote daily so also to confirm more bookings. Give us access to lots of avaibilities. Cons: The fact that it is not always as flexible as i wish it to be. I know that on our side we still have some work to do also regarding bookings and vouchers. we wish that when we book it doesn't do one res per hotel. It's easier for us and for the supplier as Rocky to have all res on the same reservation number for the same client. We would like to be able to add internal ref on our reservation so that this res shows on the suppliers statement for our accounting purpose. Thank you very much Nathalie! We have really appreciated your feedback and your suggestions! Our aim is to improve and to to do things always at our best. We will consider your suggestions in order to make TailorMadetour more perfect and flexible. Since more than 10 years, our customer's opinion leads the way for our daily job and future developments: we highly care for our Customers. Thank you Nathalie. Comments: We were looking for quite some time for a company able to customize an XML solution for us in order to regroup our different suppliers on one platform in order to create fast and complex itineraries for our clients. Goal , create easily a new itinerary, fast, catching our prices in real time and giving us the possibility to change quickly the quote in case of date change, routing change... We needed the platform in french and english. So they have done it. We have now a working solution to manage our quotes, to book all services with one click and generating our vouchers for the different services. They have a great customer support modifying continuously the platform in order to accommodate our requests of improvements to fit our special business needs. 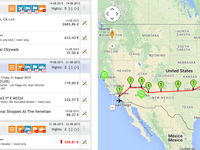 Our itineraries vary from a week till 60 days of travel. Great team and easy to work with :) they are listening to their customers. Thanks Eminds - Olivier / America Voyages. Thank you so much Olivier! It is also thanks to your precious suggestions that TMT is growing and adapting to your business. We care for customization of our solutions because we highly care for our Customers! Pros: The platform is very clear and brings you to your objective in few steps. Cons: It would be really nice to have the chance to use it with two contemporary sessions. Overall: It is very quick and easy to choose and change hotels/services depending on needings, as well as duplicate quotations to create further alternatives. Your words and your suggestions are precious for us all. TailorMadeTour is an easy-to-use tool: we want to make it always easier and quicker to use. We are glad to be the technology provider of Futura Vacanze and to be at your side for your daily job. We are working on several updates too: this means that we are perfecty aware of what you are asking, in order to improve it. We care about your opinions, suggestions and needs. Very easy to create trip to send to client with e-minds. Pros: The facilities to use the software and the rapidity to do an offer are the thing that I like most. Very easy also if we need to change the date or to add one day more for example, the software move everything for one day if you add the day in the middle of the planning trip. Cons: Maps are not always correct, and when a city need to be added is not automatically. When we put a manualy stop, the Kilometer are wrong. Overall: The Benefits of the software are definitely the rapidity to create a trip that you can send to your client. Certainly can improve, but it is in the good way. Thank you so much Bruno. We are glad to see that Siel Canada is growing , thanks to our tool. Our R&D division works everyday, in order to make our platform always updated, according to your needs and suggestions. Pros: It is easy to use and it can help us to speed up quotations as well as check what each staff do everyday. 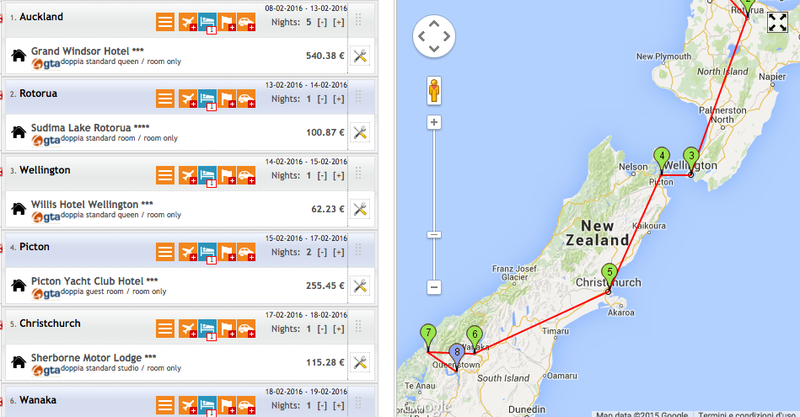 I like that we can set up our original package tour and itineraries creating "templates". Cons: There are some issues about room type choices, personalization of the itinerary and description, but new functionalites have been recently explained to our manager, if we could try to use them I think our daily job will improve a lot and our staff will believe more in the system. At this moment, "old" staff is still stucked on the "old habits" and it is not easy for them to start using the system daily. New staff did not see the old quotation manner, they started with Tailor Made Tour system so it was easier for them to use it. Overall: We are using only for hotel suppliers, we did not connect other services like optional tours etc which we add separately "offline". I believe Tailod Made Tour can help our daily job as well as planning team which I belong to. 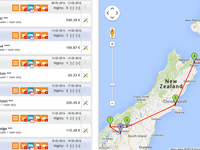 I started using it for planning last month, to create new itineraries and I found it very useful for my job. Overall: Our experience with TailorMadeTour is overall positive : it suits our needs since we personalize every itinerary. Doing a quote is now really quick, easy to amend and to book. It take few months to make it work correctly and configure the back office as we need but the Emind team is helpful. We appreciate your words. Since three years, our business relation is based on a mutual growth: as well as eMinds has improved and updated its tool, Visiteurs has changed its way of working, thanks to our platform. Our aim is to let your daily job easier and faster! Everyday we stay close to our customers and your suggestions lead our future developments. Thank you so much Loreline! Cons: I'd like to have improvements after the booking so that we do not have to go back to the suppliers' websites to modify or enhance our bookings. 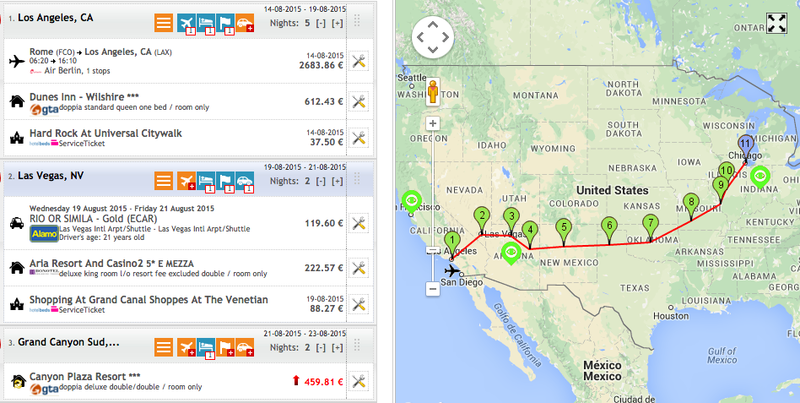 Overall: TailorMadeTour is a great tool to optimise the needed time to create and book complex itineraries. Instead of connecting to tons of independant website you just have to perform a single search. Thank you very much David for your precious feedback. We are working constantly at implementing new features and improvements and your help and support in this operation is highly appreciated! Comments: TailorMadeTour is an advanced software platform that helped us to realize a truly dynamic packaging system. Our customers (BtoB) are able to access the whole range of our Tour Operator products, with an ease and standardized interaction. - eMinds supports us like an actual partner, not only a customer. A lot of development are possible, and the product always fits perfecly our needs. It is true we deal with you and with all our customers more as partners than as customer and supplier. Thanks to this approach, our platform is very flexible and can adapt to the needs of the users, making their job easier, faster and more efficient. Comments: TailorMadeTour is a great and smart platform, user-friendly and easily operated. It is helpful in realizing fast and best price based quotations, and allows an easy interaction with a wide range of products. Best of all, you are always connected with DMCs and you can implement your business, creating quotations that are always up to date. 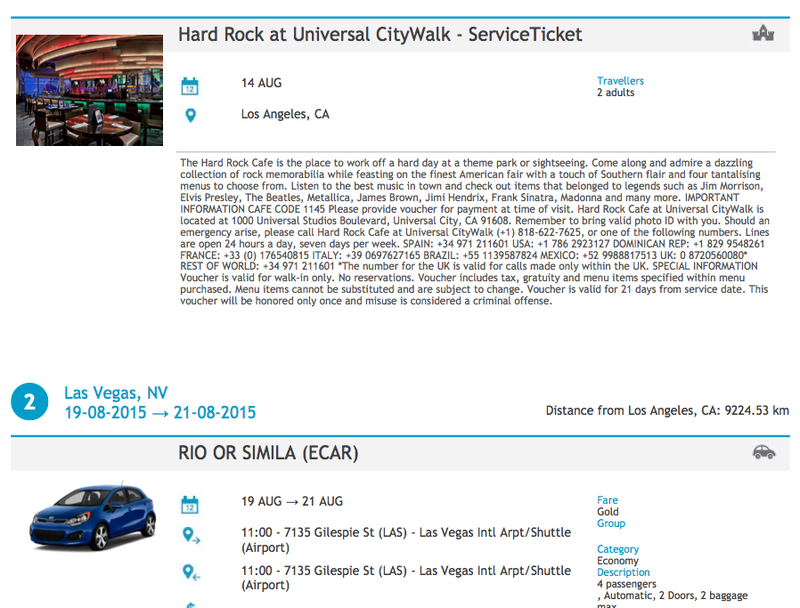 You can change an itinerary in just few clicks, which is awesome! Thanks to this new platform, we are willing to speed up a lot and to increase the reliability for our customers. what a pleasure to receive your review! It is also thanks to the feedbacks you give us day by day that help the platform develop in the right direction! Comments: Tailor made tour is an advanced tool powered by Eminds that gives you the possibility to aggregate several product/services as flights, hotels, activies, cars. Never seen before something like that! By integrating the most of wholesalers via XML , we obtain a real time quotation - in less than 1 minute - that we send immediately to clients (B2B). It includes maps, service informations, invoices, etc. . We were looking for a software to improve our business, TMT has been the answer. At the beginning it could seem a bit complex but thanks to Eminds support and customer service it has become our daily tool to work: easy, quick, tailor made. Thank you so much for your precious feedback! Comments: TailorMadeTour is a good product that every day helps us to realize a good dynamic packaging system for our customers. They can create their packages without errors because they are drived by the system and they can have availability and rates in real time. It's easy to create new connectors thanks to the standard xml encoding. EMinds supports us with a perfect product that makes possible an interaction between our customers and all our products with its advanced software platform. TailorMadeTour is a product that meets our needs perfectly. your satisfaction is the best acknowledgment for our work. We will do our utmost to keep you happy! Comments: at first it seems complex but then you realize that every itinerary simple or complex, with few or many services can be recalculate and updated in a few seconds. Great !. An efficient tool that allows you effortlessly a customization of each itinerary : with a few clicks update cost and check the real availability. Very satisfied! Thank you very much Fabrizia. What you described is exactly what we want to achieve: allow our customers to save time, energy and money and make their work more efficient and profitable.